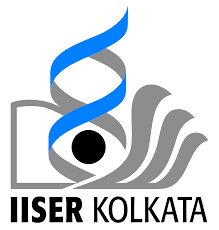 Applications are invited for a Walk-in interview for Research Assistant position in Biochemistry and Molecular Biology in the group of Rahul Das, Department of Biological Sciences at IISER Kolkata. The position is initially available for six month and could be extended upto another 1.0 year, based on the performance and availability of funds. Minimum essential Qualification: M.Sc./ M.Tech in Biochemistry, Microbiology, Physiology, Biophysics and Molecular Biology with a strong background in protein biochemistry and molecular biology. 1) Prior experience in cloning, protein expression and purification. 2) Experience in preparation and handling of Biomolecular NMR and protein crystallographic sample. Application Process: Interested candidates are requested to bring CV, a brief description of research experience (maximum 1page) and relevant documents on the date of interview and report at the DBS office in the Research complex by 10am. Interested candidate must make their arrangement to attend the interview.